I love it when science demonstrates something that is bloomin’ obvious to the rest of us. In the journal of Evolutionary Psychology, researchers have published a study showing that men are significantly more likely to pay for a meal when their female companion was attractive. The scientists showed pictures of women to 245 men, and asked them who would you prefer to pay for a hypothetical meal you were sharing? They also did the reverse, showing pictures of attractive and unattractive men to a number of women. Firstly, the most common response from both sexes was to share the bill. Women, however, were significantly more likely to want the man to pay for them, and men were more likely to offer to pay for the woman. And when looks comes in to the picture, as it unfortunately often does, this sexual dimorphism is amplified. Men are more likely to pay when a lucious lady is sitting across from them. Women, also, acted differently – and said they would prefer attractive men to pay for their meal over uggos. While you may think this research is a bit pointless, it does highlight an interesting behaviour widespread in humans. Why is it that men are, generally, happy to pay for meals, and women are happy to be paid for? The answer lies in the reproductive strategies the different sexes employ to ensure the production of the greatest number of healthy children. Men – in particular their sperm – are plentiful. One man can easily (and likely happily) impregnate large numbers of women. In contrast, women only need one man. They have the upper hand therefore; they can easily restrict breeding opportunities to only those males who have high quality genes or who can provide resources to aid in the rearing of children. If one does not have high quality genes (in other words physically attractive) then one must advertise resources instead. Indeed, the researchers found that attractive males were much less likely to offer to pay than unattractive chaps. The resource in vogue these days is money – without it you don’t have a house, you cant send your children to a private school, you might not even be able to feed yourself. It may be slightly crass to say – and I admit there are myriad of other factors involved – but men seem to be paying for dinner simply to increase their chances of getting lucky. 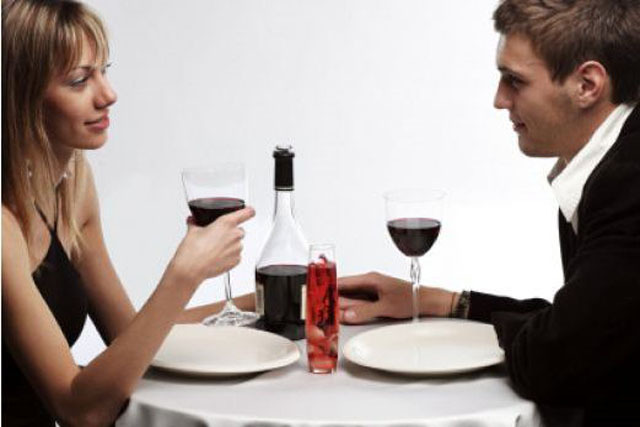 It may explain why, if on a first date you ask to split the bill, you probably wont be around for the second date.